Why am I going to vote for Donald Trump? If you check earlier posts on my blog you will find I once supported Senator Ted Cruz. Since Trump and Cruz parted with bad feelings, I am not happy with Trump. I think Trump has a problem with keeping his ego in check, and he gets very nasty when he doesn’t. That said, Trump’s problems ego problems look to be of the ordinary variety. He is not a political pro, and the stresses of running a political campaign are extraordinary. So there is not much reason to expect him to handle those stresses like a pro. Hopefully, he is learning. After you needlessly insult someone, it can be difficult to patch things up. Still, I have a problem. Like every other voter I have to figure out who to vote for. The two candidate with a serious possibility of winning are either Donald Trump or Hillary Clinton, and I vastly prefer what Donald Trump has promised to do. Here are my key issues (See Trump’s Positions Page). Trump will fight for the repeal of Obamacare. Trump has also promised to work to replace Obamacare. I am not sure I will like what he and Congress cook up. Nonetheless, he promises to work for a system that uses free market principles. Trump will fight for a simpler tax system and to eliminate the death tax. We should get rid of the income tax. As the paragraph above indicates, the people who advocated the 16th Amendment to our Constitution, created a monster that has funded the excessive growth of our government. Note that Trump’s tax reform does not address Social Security or Medicare, a major part of that 16th Amendment monster. Trump’s plan includes tax relief for corporations and small business. That would help keep businesses from fleeing our country. Trump would also eliminate the Death Tax. That would also be a boon for small business and increase competition. Therefore, what Trump proposes is progress. How do we get rid of the 16th Amendment. I expect that would take a Convention of the States. This issue is the one that kicked off Trump’s campaign. I am not a big fan of the wall or Mexico paying for it. I just want to vet immigrants BEFORE they come into our country. So we know each people coming into the United States is not a security threat. Has a job or some means of support. Currently, our welfare system is a draw to both legal and illegal immigrants. That’s stupid. We don’t need a welfare system so the Democratic Party can import voters. In addition, we are allowing terrorists into the country. Instead of trying to help refugees as close to their homeland as possible, we are bringing them here, and we are not separating out the terrorists. There is no good excuse for that. Trump is running on securing the border and securing our country again. I am happy with that. School Choice is my main issue. Unless we put education back under parental control, civil servants posing as teachers will continue to indoctrinate children. Am I trying to say I hate teachers? No. Of course not. When government runs the schools, teachers are civil servants. That is a literal fact. As civil servants, teachers must teach what politicians who pay their salaries want them to teach. What politicians want children to learn very often not good for children. Politicians don’t necessarily love our children, but all them are tempted by power and prestige. So I am disappointed Trump does not mention school choice prominently on his website, but he did say he favors school choice in his book (see my post, CAN DONALD TRUMP DELIVER ON HIS PROMISES? ), Crippled America: How To Make America Great Again. In addition, Gov. Mike Pence, his running mate, apparently has an interest in the subject (see Ryan Applauds Governor Pence As Vice Presidential Choice) and Trump is on the record as being against Common Core (see DONALD J TRUMP PRESIDENTIAL ANNOUNCEMENT). On the issues that matter most to me, Trump is the best choice. IS IMMIGRATION A NATURAL RIGHT? “An election is about comparing and contrasting candidates, not just damning one of them. “H. Clinton is a model Christian? Pro-life too? How would electing her further the cause of Christ? “H. Clinton is a model Conservative? You want me to vote for H. Clinton because of her Conservativism? Tom, without beating this dead horse further, I just would like to point out that you may be “a” Christian, you are not “the” model definition of “the” Christian – that would be Jesus and only Jesus. You don’t own that term, “He” does. Obviously, to far lesser degree the same is true of what it means to be “a conservative”. 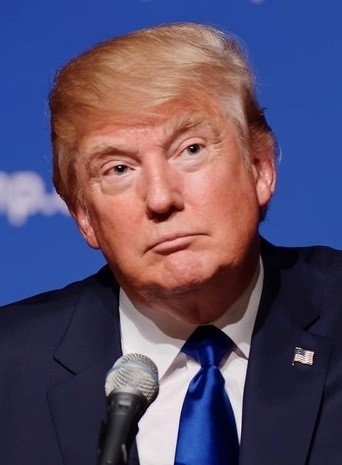 To know whether or not Clinton or Trump would best further the cause of Christ, in my humble opinion as “a” Christian, depends on how well each one acts personally and politically, to promote the cause of Christian virtues that derive from spirituality and love, rather than from selfishness and materialism. As for being conservative, it is a broad definition, that you also don’t own. Even the most recognized and adamently self professed conservatives fight over what it is to be or not be a conservative. I also happen to share some conservative values, but not all. I also share some liberal values, but not all. On the other hand, if you are kicking out of the conservative camp all the life-long, well known proponents of conservative values, then perhaps maybe you are the one who has left the fold with Donald Trump, not them. For getting at the heart of this debate, I would like to applaud and second the last post above by plainandsimplecatholicism. I too think we Christians have fallen prey to Webberian materialist assumptions and have lost our way and our focus which should naturally be a return to spiritual, metaphysical sources of Christian ethics such as was proposed by St. Augustine and St. Thomas Aquinas. Those sources define ethics as fostering Christian virtues in every soul. If we “all” honor virtue and try to live with virtue, then the difficult, complex, and imperfect balance of the material systemics of government and charity will sort themselves out as well and to the extent that our honor of virtue allows, perhaps even a little more in favor of the utopian lack of government that you imagine. I find it hard to believe that Donald Trump in most ways “honors” those ageless Christian virtues of service, sacrifice and selflessness. It would seem that Trump’s whole life and all his words are an unabashed tribute to materialist greed – that greed is its own highest virtue. It is arguable, but I also find it hard to believe, that if we honestly only deal with what is proven and known about the two candidates, with what they have provably said and done, that Trump compares well with Clinton in that regard. You did not mention trade as a reason you support Trump. That is why I wrote my own post which will be posted tomorrow about this issue why I also support Trump. Perfect objectivity in such things is impossible. Given the data available, however, I think my arguments above are pretty objective. I don’t hate Trump. Nothing I’ve said is malicious or vitriolic toward him. What you don’t like is when things that are quite obvious about your candidate and what he is likely to do are simply and objectively pointed out. You’re invested in Trump so you want to think well of him even when it conflicts with the natural consequences of his obvious character history and recent statements. That is kind of the definition of cognitive dissonance. But as you say, it’s not about me or you. 1. As a Christian first, do you really believe that Mr. Trump, by his life and statements, better exemplifies the ancient Christian values and virtues for which Jesus is our model? (Hell, just today he essentially incited Second Amendment advocates to shoot Clinton – I know, you will say it was a joke, but there are some things Christians, other decent humans and especially major party nominees, just don’t joke about in the most sideways fashion). 2. As a conservative second, doesn’t the defection from Trump of life long conservative commentators, such as the ones Scout pointed out, at least give you some pause, that even if you don’t believe Secretary Clinton is a conservative, Donald Trump as your conservative standard bearer will do long lasting damage to conservative principles? 3. As an American third, can’t you see that, as a country that historically and successfully blends and tolerates (not separates) many races, ethnicities and religions, a high regard for pluralism is also one of our best American values, and that Trump’s own words and actions are damaging to that American value? 4. Given all the rest and everything I and others have pointed out previously, as a Republican last, can’t you see how Donald Trump is obviously destroying the Republican Party? An election is about comparing and contrasting candidates, not just damning one of them. H. Clinton is a model Christian? Pro-life too? How would electing her further the cause of Christ? H. Clinton is a model Conservative? You want me to vote for H. Clinton because of her Conservativism? Scout is a longtime commenter. I call him NovaDemocrat because he isn’t a Conservative. He apparently thinks pretending to be one is funny. But electing H. Clinton for the sake of Conservativism? That tops any of NovaDemocrat’s humor. H. Clinton is a model American? How would electing her be in America’s best interest? H. Clinton is a better Republican than Trump? Really? The best you can come up with is that if we elect H. Clinton Democrats instead of Republicans take the blame for wrecking the country. Frankly, I care more about my country than I do the Republican Party. BTW – I have not got either the time or the interest to check out everything the news media says that Trump has said. I have done it enough times that I just don’t believe them anymore. Nope, Trump is definitely yours now. You can’t blame him on the Democrats. But if you think Mr. Trump would be a more moral, smaller government, less tyrannical President than Secretary Clinton if he were to get elected, then Trump probably has some bankrupt casinos in New Jersey and a degree from Trump University that he would like you to invest in. And that brings up an interesting point. Trump may have conveniently switched key positions on issues recently, but only a fool would peg him as a Tea Party ideologue (or for that matter, any kind of principled ideologue). If one accepts your position and the fact that, given what records they both have, neither a President Trump nor a President Clinton will actually want to diminish their own power by enacting laws for a smaller, more limited government, but instead will likely want to increase those powers further in the executive branch, who would you rather get the blame for the terrible things that you believe this will do to the country – Democrats or Republicans? You think President G.W. Bush expanded government more than you would have liked? Well, given his ambition for power, a President Donald Trump will be a “don’t tax, but spend, baby spend ” Bush on triple steroids. It’s also kinda likely, given his personal and business reputation, that Trump’s regime will involve more real scandal and corruption by far than a Clinton presidency because the Republicans will be even more inspired to keep her under a microscope than they can him. How much is your irrational hatred of Hillary Clinton really worth to you? What if the price is to sacrifice everything that you claim to believe in and to burn down the Republican Party? To stretch my earlier metaphor a little further, you want so bad for Trump to be Ship’s Captain because you hate Hillary so much while all the prescient conservatives have already given up on Trump, and are turning instead to damage control to save their whole ship from sinking. If the ship sinks further, I think that many more will join them. On the subject of irrational hatred. Have you tried reading what you have written objectively? But I suppose you cannot do that, but I don’t know why. At this point I don’t expect to persuade you. I have no idea what would change your mind. I am not certain why you believe what you believe. Note that this is a politics and religion blog. It is not about me. It is about what I believe, but the fact I believe anything does not make it true or give the words I write wisdom. I draw upon other sources. I am first a Christian. I believe the Bible. I am second a Conservative. I study what our nations founders did, and I try to understand the reasons they succeeded so well. I am third an American. I love my family, friend, and neighbors. I am last a Republican. I think least corrupt our our two major political parties. I am not a follower of Trump. I just think would be a better choice than H. Clinton. I suppose that I could be wrong, but I don’t consider it likely. If you see Trump’s poll numbers continue to drop to double digits in late September, particularly in key states (like Virginia), I think you will see more Republicans start abandoning Trump like rats deserting a sinking ship. They will want to save the Democrat controlled Senate from becoming filibuster proof as well, and might even be worried about the House flipping as well. If there are a million reasons not to vote for Trump, then there are a billion reasons not to vote for Hillary. This isn’t even close. I’m voting for Trump. Let’s hope and pray enough people reach the same conclusion. Very positive post. All of your comments can be supported at least by things Mr. Trump has said in the past eight years. Beyond that it is difficult to find much information about where Trump stands. From the short record of positions that is actually available, Trump seems to have been very consistent on a issues like limiting immigration, but has had a complete conversion from left to right on other issues. 1. Trump was very prochoice before he became very prolife. 2. Trump was in favor of universal health care before he was against Obamacare. 3. Trump was in favor of gun control (including an assault weapons ban) before he was against gun control. 4. Trump was in favor of a progressive additional one time tax on wealth before he abandoned that plan recently. 5. Trump was in favor of cutting the military before he became for an increase in military spending. 6. Trump (who himself does not take drugs, smoke or drink) was for legalizing drugs (and still is to some extent) before he said he would not legalize them now. If one sets aside the possibility that Trumps change on these issues was politically motivated, then people do and should be able to change their minds when they get new information. Dogged consistency at the expense of seeking truth is not always a good quality. Unfortunately, we don’t often give politicians the benefit of the doubt when they flip-flop on big issues unless they happen to be our favored choice to begin with. 1. Trump has called for saving Medicare and Social Security (and at some points, also Medicaid) not eliminating these programs. 2. Trump is for a national increase in infrastructure spending that has recently grown to Bernie Sanders proportions (but without any proposal to pay for it except through debt expansion – given the low cost of borrowing money right now, that debatably might not actually be bad economics). 3. Trump is in favor or a state-by-state raise in the minimum wage. 4. Trump is fairly consistent about our needing campaign finance reform, and his willingness, at least during the primaries, to finance his own campaign and refuse PAC money is kind of admirable. 5. Trump has supported affirmative action (at least for now), and he has said he supports gender equality. 6. Although there is some dispute over this, Trump says that he was always against the Iraq War, and seems to oppose military adventurism around the world and especially nation building. 7. This too is hard to pin down, but Trump seems to be in favor of protectionist fair trade policies as apposed to just open free trade. On this too, Trump appears to be closer to Bernie Sanders than to Obama, Clinton or most Right Wing Republicans. Like I said, because of his lack of the normal public record, his consistent positions are hard to nail down up until very recently, but going only by what Trump has said lately and taking him only at his word, the most friendly objective observer would probably rate Trump overall as a centrist and populist conservative, just as someone who looked at the totality of Secretary Clinton’s record and policy proposals would probably objectively rate her as a centrist liberal. 1. Trump is far smarter than we give him credit for. Trump is extremely well educated, and I think probably understands macroeconomics (in a reasonable centrist non-ideological sense) far better than he appears to want to admit. By some reports, Trump predicted the economic collapse of the Great Recession and actually made money off of it. 2. Trump works hard and he is extremely ambitious. 3. Trump makes a lot of money, he has built things and he does employ people in doing so. 4. Although marital fidelity is obviously not his strong suit, Trump does seem intensely loyal to his family. That’s my positive take on Trump, but I think Clinton’s positives outweigh Trump’s by far. I will save that for another time if you want to hear it. Ted Cruz referred to Trump’s New York values because that is a term Trump once applied to himself. I don’t read minds so I don’t know Trump’s intentions. I wish he had a record in public office. Shrug. Sometimes we elect presidents who have never held an elected office. I don’t know what to make of Trump’s party switch. It happens. Reagan started as Democrat. Winston Churchill switch parties, if I recall correctly. Anyway, Trump could have run as a Democrat. The competition was certainly less formidable, and there is no shortage of rich people in the Democratic Party. Anyway, Trump is not a young man. What the Democratic Party was even a decade ago is quite a bit different than it is today. You will have ample opportunity to defend H. Clinton. The ambiguity about his health care reform is troubling. A “free market” principle in the past was 14 hour work days so we should probably ask him WHICH principles, right? A simpler form for the peons; tax cuts for corporations and small business which he will no doubt directly benefit from. In a time when many large corporations are paying very little taxes and actually getting what amounts to government subsidies, I find it increasingly hypocritical for him to claim this will help the average American/ What? We can afford to prop up big banks and energy companies but we can’t afford to reform our welfare system? Securing it how and at what expense? Why was the United States formed? The Brits saw we the colonists were wealthy, and the British government wanted that wealth. Health, education, and welfare programs have very little to do with helping the people. When politicians get control of anything, they just sell access to the wealth they control to the highest bidders. What was the primary virtue of the 13 colonies. They had relatively little government. Without the government controlling everything, sneaky operators could not give great advantages to their patrons. So there were some well-to-do people, but there were none of the filthy rich such as could be found in Europe. You want a good healthcare system? Get the government out of it, and private charities will do just fine. Government has regulatory functions, but it should not be running our healthcare. That is a rather simplistic view to be sure. There was talk of separation since the 1720s. A more immediate cause was that the British needed cash after defending the colonies from French incursions in the Seven Years War. A thought experiment. Suppose the people of Loudoun county voted by overwhelming majority to set up a public health care system that integrates the private charity services along with state and federal resources but is administered by the county and paid for through a small county tax on luxuries items like boats and things in order to provide quality healthcare to the poor people in the county. The board running it would be comprised of representatives from the government and the charities involved. How does that sound? We have 324 million people in this country. You have considered the two major candidates, the ones that the odds vastly favor, and you intend to vote for neither. Yet you want the government’s role in charity to expand? The major reason our government is so corrupt is because the government is so involved in so-called charity (vote buying). When we put the government in charge of our schools, welfare, healthcare, our financial industry, transportation, and so forth, we end up serving it, not the other way around. To maintain a moral society, the people must impose their values upon the government, not the other way around. How do the people maintain their morality? Parents must love their children enough (especially fathers) to take responsibility for their moral instruction and education in general, and we each must take responsibility for our bad decisions. We cannot use the government to foist the consequences of our sins upon each other. When people offer to help us and relieve of the burden of some of our bad decisions, that is charity. Yet government would call it an entitlement. Do we sometimes need help even though we have done nothing wrong? Yes, but who is to decide? Government? That’s a hoot! If men were angels, we would need no government. If our leaders were angels, we would have no trouble voting for either Trump or Clinton. As it is, the greatest dangerous to our freedom is our own government. “Yet you want the government’s role in charity to expand? According to the principles of subsidiarity and solidarity, yes. Understanding that we are a government of the people and following the principle of subsidiarity, charity naturally begins with the human person, then the family, then the local community, and so on to the highest levels. The principle of solidarity, joining together in free association for the common good, integrates each person into the direction of those resources instead of leaving it in the hands of far way bureaucrats or abolishing it altogether. You are partially right about the greatest danger to freedom is our own government, but the government most dangerous is not the one is Washington, but the one in the soul. Indeed, all social ills are not a matter of the strong oppressing the weak but the weak–that is the weak souled–ruling equally weak. The goal of a society should be the strengthening of society. The Romans knew this and public virtue was one of the main factors in a person’s rise to prominence in the early republic. Our forefathers also knew it, hence why thinkers from Washington to Hamilton to Jefferson to Franklin all agreed that public virtue was something to cultivate. Yet, De Tocqueville wrote of our “self-interest rightly understood” which inevitably led to our circumstances today. When the public virtue is to look out for yourself in such a way that it happens to benefit others, then we get such errors as infallible nanny states and the great god capitalism. If we actually examine Christian principles and not the modern ideas of Weber and his protestant “ethic,” then we do not see, at all, the “pull yourself by your boot straps” mentality that has been the rallying call against welfare. Instead, the testimony of the Fathers, the marytrs, and the Scriptures paint a picutre of mutual self giving, both by separate persons and governmental bodies. Nearly every nobleman had an Almoner or some means of directing funds to those who needed it. This is solidarity. The various bodies and persons in society are not competing organizations but parts of the whole fabric of society. Each one fulfills their role–though there is much overlap–according to mutual cooperation, not invented dichotomies by radio hosts and lobbyists. THE Donald fights like a Democrat. I think that’s why he tends to rub conservatives the wrong way. Nevertheless, given a choice between THE Donald or Hillary, the choice is a no-brainer. Hillary is a proven criminal. At least he is insulting Democrats now. I am sure Ted Cruz is greatly relieved.